More help will given to substance addicts. The service aims to address all aspects and impacts that drug and alcohol misuse can bring. Those with alcohol problems will also be given support. Children are particularly vulnerable a Cabinet meeting heard, as parental misuse may lead to abuse, neglect, and the child's own experimentation with drugs and alcohol. Between January and October last year 62 children or young people in the Wakefield district received support for alcohol or drug misuse. In the meeting on Tuesday morning, Councillor Margaret Isherwood said: "Children are very seriously affected even if there is just one person in the family affected by drug or alcohol abuse." She welcomed the "holistic family approach" outlined in the report. Drug and alcohol dependency has a significant impact on community safety, crime, employment and welfare dependency. There has been an upward trend in recorded drug deaths in the Wakefield district as well as an increase in health issues related to alcohol - the most vulnerable are the worst affected. 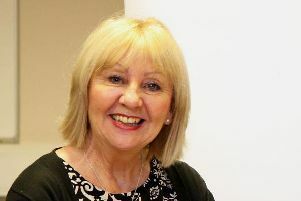 Councillor Maureen Cummings welcomed the focus on alcohol misuse. She said: "Over the years we have paid a lot of attention to drugs and drug prevention and maybe not so much to alcohol." Every year alcohol related harm costs society an estimated £21.5bn and treatment shows a return on investment of £3 for every £1 spent. The service will be in place for five years with the option to extend it for a further five years.